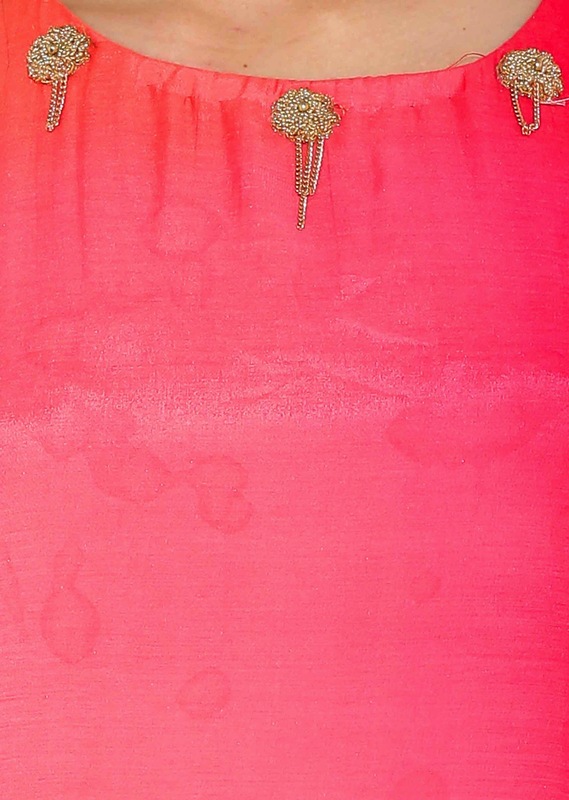 You are wanderer of your own destiny When you wish to wear the feminine feather right with class of elegance then this kurti is worth not to be missed. 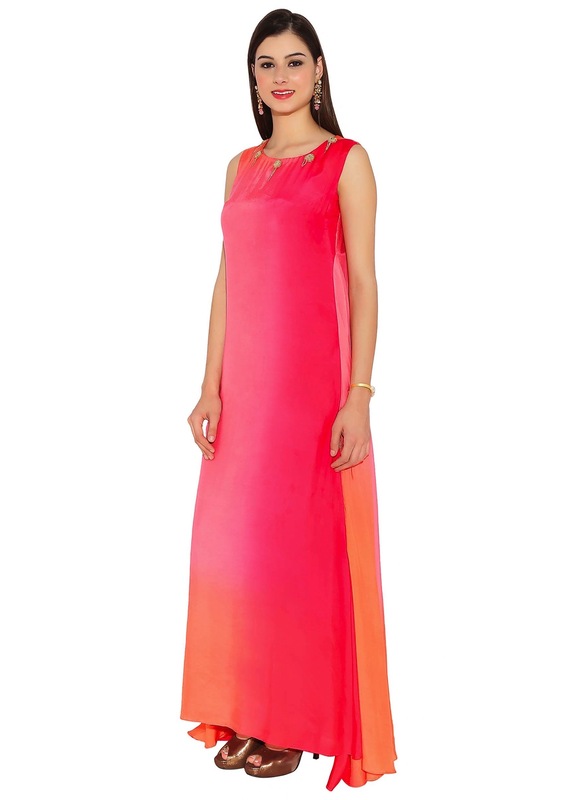 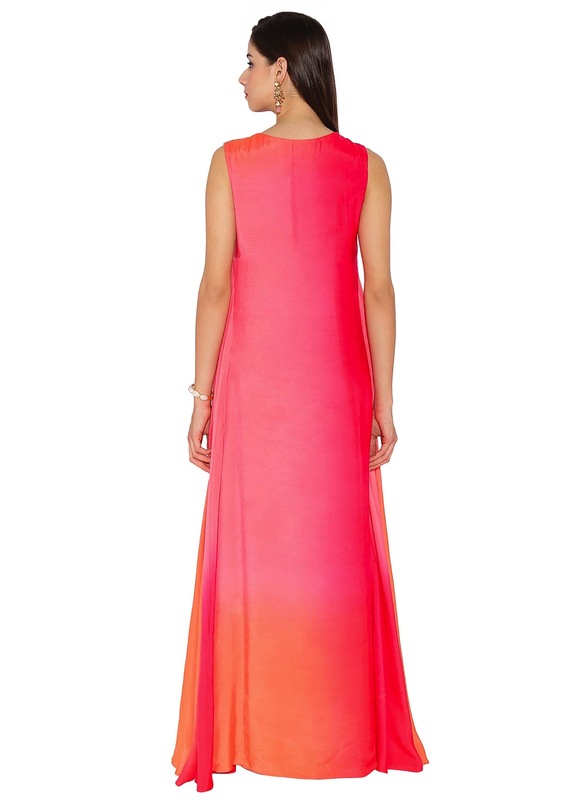 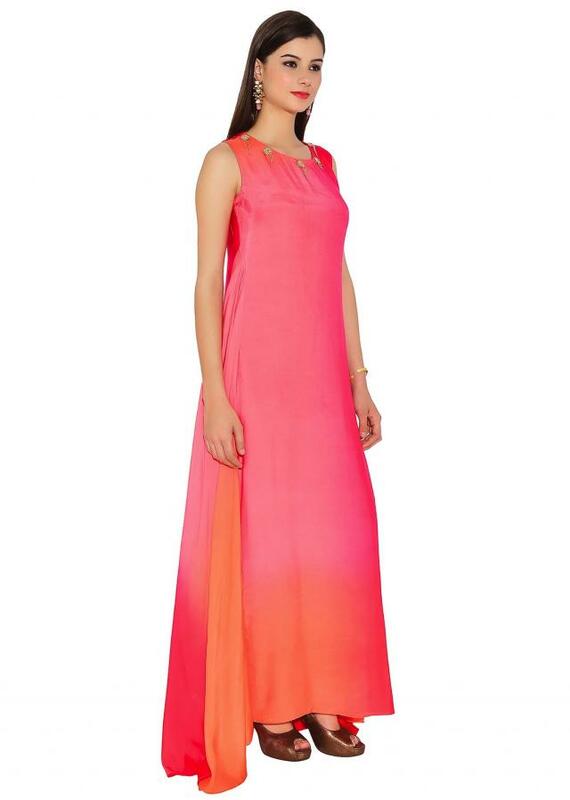 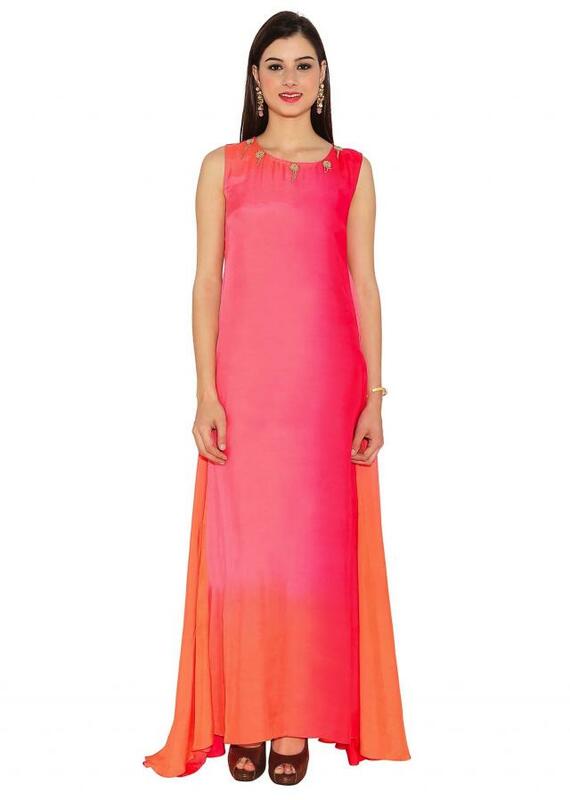 The dramatic fusion of pink and orange shades, sleeveless look does bring up imagination to another level. When you wish to get in to groove of fashion, this piece is worth a pick.